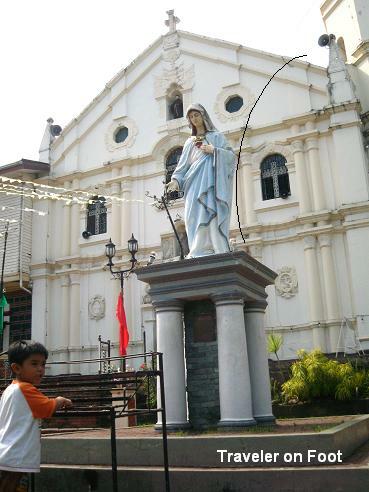 Like in the usual town histories in the country, the foundation of the present town of Sariaya in Quezon coincides with the building of the church and convent. 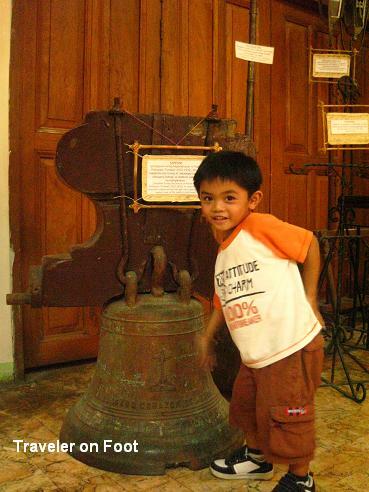 Historians attested that Indios (natives) organized around this center in fixed settlements called barrios or sitios, within the hearing distance of the church bells (bajo dela campana). Sariaya is one of towns located below the mystical Mount Banahaw. The town’s name was said to have derived from Sadiaia (former name of Lagnas River). 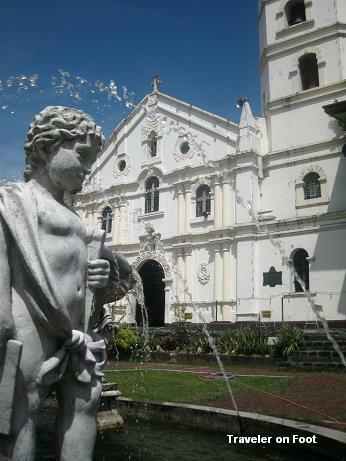 Old Sariaya was founded as a fishing village by Franciscan missionaries along the shores of Barangay Castañas on October 4, 1599. 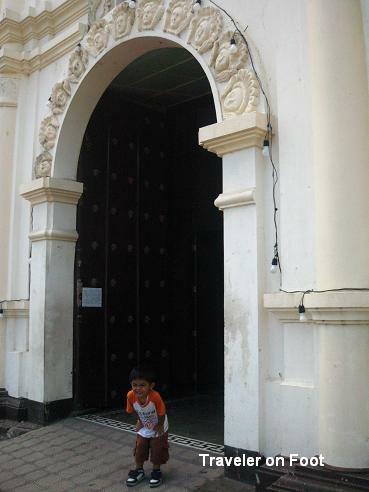 The town was later transferred to its third site at Lumangbayan (now known as Barangay Tumbaga) in 1703. It was during this time when King Philip V granted the request of the Spanish friars for a replica of the Santo Cristo de Burgos. 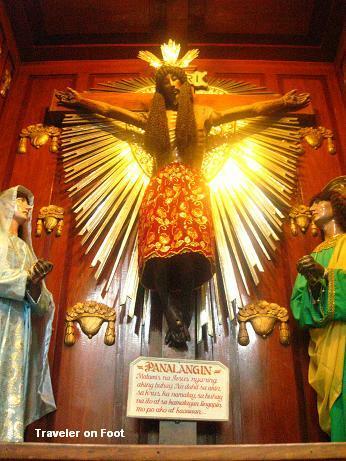 The image was enshrined in the stone church of Lumangbayan. A series of natural calamities destroyed the town of Lumangbayan. This was then followed by a Muslim invasion which burned the town to the ground. 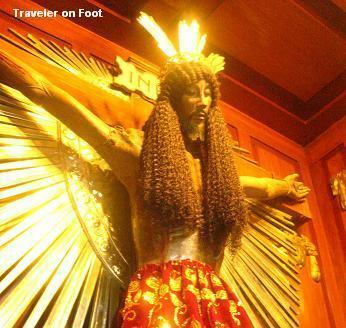 Surviving the holocaust was the unscathed image of the Santo Cristo de Burgos. According to oral tradition, the unscathed image of the crucified Christ of Burgos was wrapped in white cloth and then carried by four men onto their shoulders in search of a place to build a new church. After resting under a tree, the four men found the image to be extremely heavy and cannot be lifted even with the help from other men. Taking as a providential sign, the town’s people built a church on the exact site where the present Church of Saint Francis the Assisi is located. Just as the miraculous image of the Santissimo Cristo de Burgos, the Church of Saint Francis de Assisi survived the test of time. 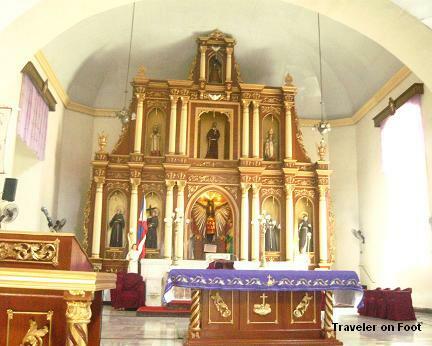 Stood as a church of stone since 1748, behind its intricately carved retablo is the image referred to as the Ang Mahal na Señor Santo Cristo de Burgos which has become a subject of Friday devotion and Holy Week visita yglesia. The old mortuary below the church’s convent has been converted into a Franciscan museum known as the Museo ng Debosyon at Buhay (Museum of Devotion and of Life). 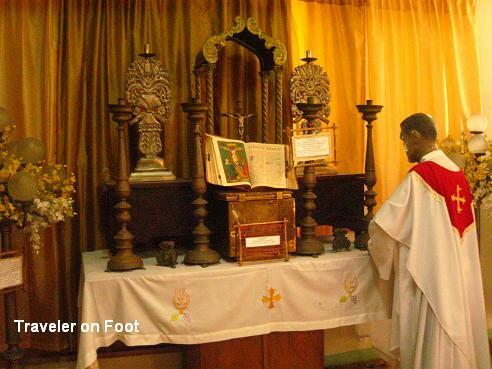 Permanent exhibits include an altar complete with a mannequin dressed as a priest, old photographs, an old church bell, and other religious relics of the church. Hi. In California. 2012. My friend asked me to look up his name Burgos. In reading a book about Saints I couldn’t find his name. So here I am and to my amazement here he is. Santo Cristo De Burgos. Wow. I am pleased to read it’s history. what a gift to receive. Perhaps a journey is brewing?